AUSTIN, Texas (AP) — Families of two people killed by package bombs left on their doorsteps in Austin knew each other and were connected through local activism in the black community, a civic leader said Tuesday. But it was not clear how they might be tied to a third household where a package bomb also exploded. Investigators have said the three blasts that killed two people and wounded two others could have been hate crimes since all the victims were black or Hispanic. But they also said they have not ruled out any possible motive. Draylen Mason, 17, was killed and his mother wounded when a package bomb was opened Monday in their kitchen. The teen’s grandfather is Norman Mason, a prominent dentist in east Austin. He was friends with Freddie Dixon, stepfather of 39-year-old Anthony House, who died in a similar attack in another part of the city on March 2, said Nelson Linder, president of the Austin chapter of the NAACP. 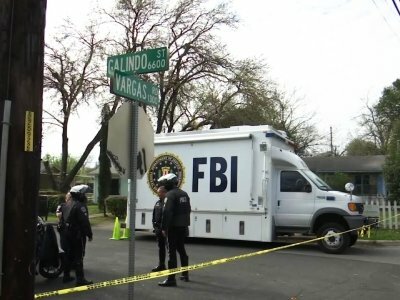 Still unknown is what connection — if any — the two families had to a third household where another package bomb exploded Monday, wounding a 75-year-old Hispanic woman who remains hospitalized in critical condition but has not yet been identified. “Our detectives are currently looking at that to evaluate that lead and to see if it is in fact relevant to what we are investigating,” Manley said. Dixon was quoted by the Austin American-Statesman in 2015 lamenting how Austin’s population growth and prosperity were effectively creating economic segregation by raising the cost of living. Austin police are offering a $50,000 reward for information leading to an arrest, Manley said. That’s in addition to the $50,000 that Texas Gov. Greg Abbott has already offered. Manley said he could not divulge too many details about the packages, saying those responsible could vary their future tactics. But he said the packages were “not at all identifiable” as a standard shipping box or standard shipping labels would be. There’s nothing obvious linking the three neighborhoods, other than all were east of Interstate 35, which divides the city. The east side has historically been more heavily minority and less wealthy than Austin’s west side, although that has changed as gentrification has raised home prices and rents everywhere. The blasts occurred during the South By Southwest music festival, which attracts hundreds of thousands of visitors to Austin each March. But they happened far from the main events and concert venues. Associated Press writers John Mone and Jim Vertuno in Austin and Randy Herschaft, in New York contributed to this report. This story has been updated to correct Mason’s first name to Norman, instead of Dixon, and to correct the spelling of Freddie Dixon’s first name.